What is NuMoney Coin, and how do exchange coins work? Is it profitable? The short answer is yes. Hello, I'm Steven Goh, the founder / CEO from NuMoney. On 14th August, I will be sharing more about Exchange Coins like Binance Coin, OKEX Coin, or Huobi Coin, and how NuMoney Coin fits into the entire exchange coin ecosystem. 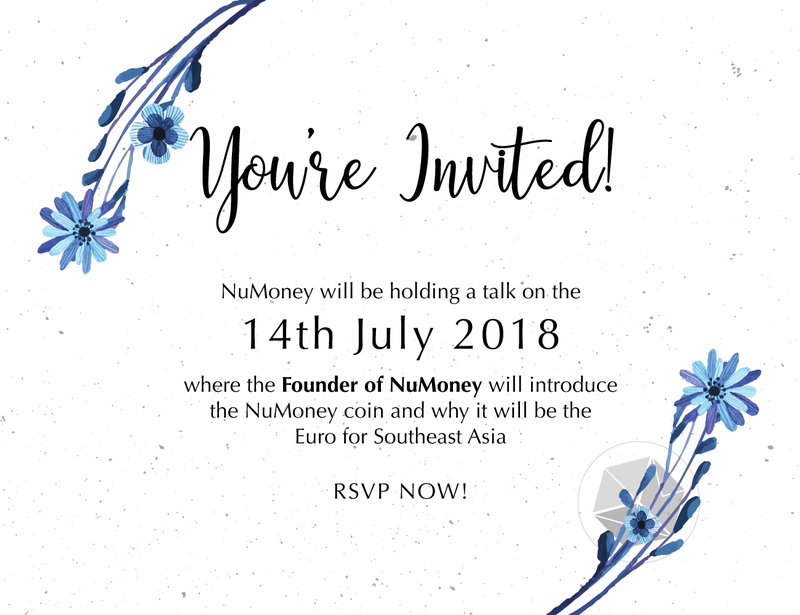 NuMoney's secret plan to conquer Southeast Asia. PS: Seats are extremely limited, so do RSVP as soon as possible.